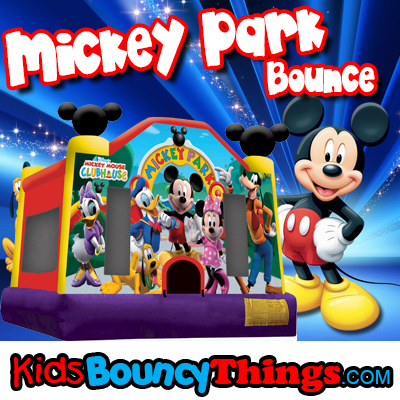 The licensed Mickey Park Bounce House will inject your next party or event with a little club house fun, as Mickey and his pals invite everyone to the Mickey Mouse Club House! A pair of trademark, three-dimensional Mickey ears helps show the way, and sharp, colorful artwork make participants feel they're at Disney! 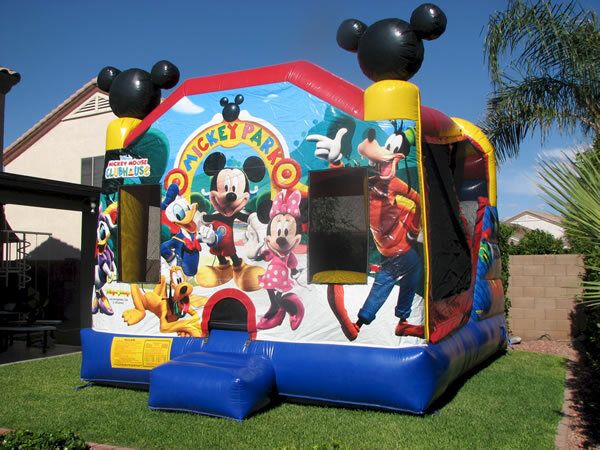 This moonwalk features Mickey, Minnie, Daffy, Daisy, Goofy and the Mickey Mouse's faithful pup, Pluto, perfect friends for kids to jump alongside all day!